Sunday 12th March was World Day Against Cyber Censorship, an annual event which highlights the negative impact internet censorship has on both individuals and countries around the world. This year saw Amnesty International join forces with ProtonMail, one of the world’s best know encrypted email providers, which has also just launched their own VPN service, to draw attention to the current global state of online censorship. According to Amnesty, in 2016 people were arrested for expressing opinions online in a peaceful fashion in no fewer than 55 countries around the world. They estimate that in Turkey, IP Address blocking is currently being used to block more than 50,000 websites, whilst in Saudi Arabia, the figure is in excess of 400,000. Then, of course, there is China, a country officially considered to have the least free internet in the world. Their Great Firewall censorship tool restricts internet access to more than 800 million people. But it is not just the mass blocking of websites, but targeted censorship as well. In Brazil, WhatsApp was blocked for a time, whilst Egypt took the same access against Signal. This type of targeted blocking is becoming more and more common, especially against encrypted messaging apps. We have also talked about the problems faced in Africa with internet blocking becoming increasingly common in countries like Ethiopia, Cameroon, and the Gambia. Amnesty are also at pains to highlight the impact of corporate indifference to online censorship. Yahoo! admitted last year that it had been allowing the NSA to scan all of their email content, LinkedIn continues to agree to censor content in China in order to stay in the market, while Amnesty themselves have warned about privacy failing in services like Snapchat. He is absolutely right and it would be wrong to categorise this as being a problem faced solely in developing countries, or those governed by autocratic regimes. It is just as much of an issue here in the UK and the USA as anywhere else, and several other European and developed nations have passed laws which impinge on online freedom as well. Restrictions on the internet do not just stop citizens accessing content, but also negatively impact on a countries economy, the willingness of overseas businesses to invest, and the ability of domestic businesses, scientists and educators to innovate and compete. There are of course a number of ways users can counter online censorship. Amnesty are calling for tech firms to take the matter more seriously and introduce end-to-end encryption as standard on more services and online tools. This is something which is slowly becoming more common. But by using a VPN, internet users can ensure their online traffic is all encrypted regardless of which sites and services they are using. A VPN redirects all internet traffic via an encrypted pathway ensuring it is safe and secure. 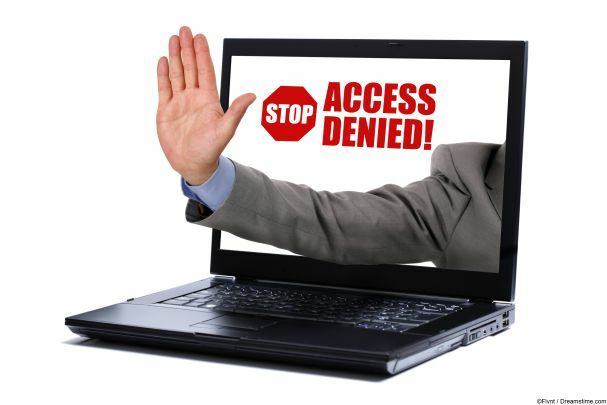 And a VPN will also allow you to connect to the internet via a server located elsewhere in the world, which lets someone in a country where the internet is censored enjoy access to all the sites that would otherwise be unavailable to them. ProtonMail are aware of how effective a VPN can be, which is why they are launching their own. And whilst it does not solve all the issues of online censorship by any means, it is a good workaround for people who want to access the internet on their own terms.